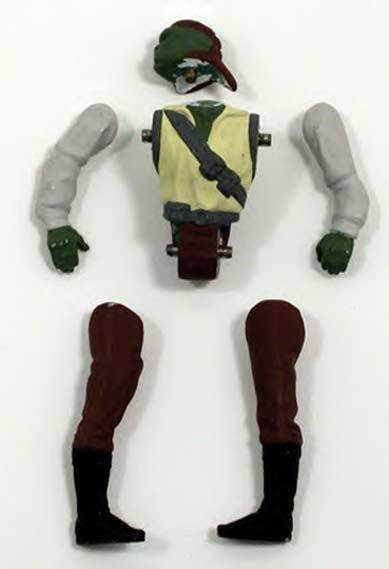 Hardcopies are one of the more popular three-dimensional figure prototypes with pre-production collectors. A painted hardcopy, like this Barada, functioned as either a paintmaster or display/photography sample. The detail found on hardcopies surpasses that of their production counterparts. 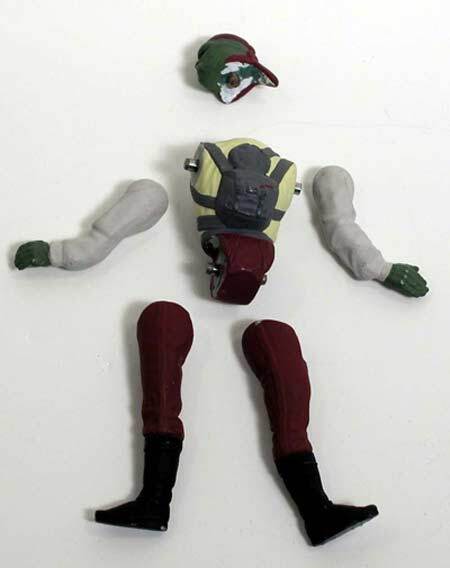 The next picture affords a view of the hardcopy with the limbs and head removed from the torso, a characteristic found on hardcopies. Somtimes the limbs are not removable on painted pieces due to paint sealing the joints. That obviously isn't the case here. Painted hardcopies are typically more coveted by collectors than unpainted examples due to the presence of extensive hand painting found on them. The final photograph once again shows removability of the limbs and head from the torso. The torso is backwards in this picture to convey the torso back's fine detail. Small metal dowels provide a method of attachment directly to the torso. 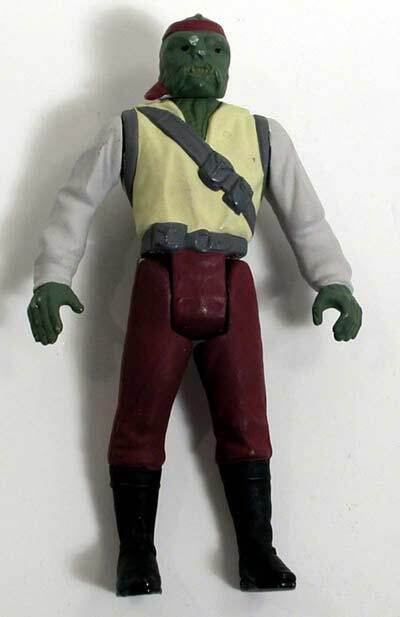 Barada was released as part of the vintage line in Kenner's Power of the Force series. Each figure included a free collectible coin. Collectors may enjoy viewing the Barada "stage 1" coin hardcopy, 6:1 presentation coin, and "plastic master" first shot showcased on the Archive.